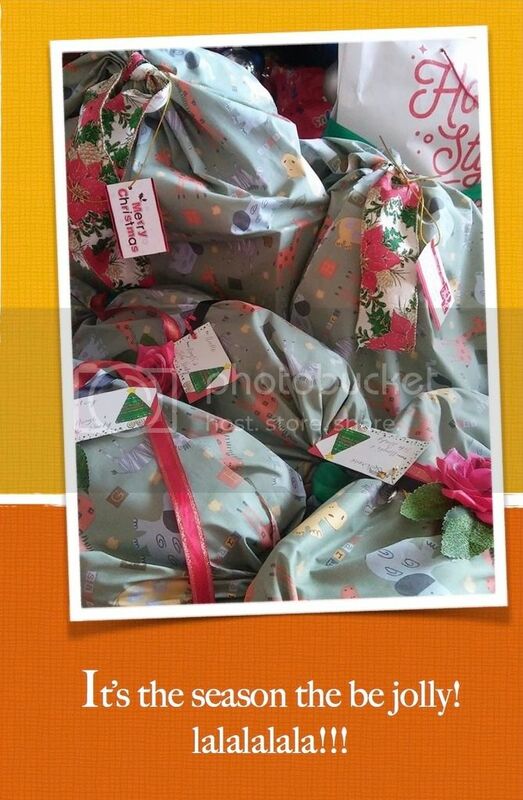 This Christmas I used fabrics as Christmas gift wrappers. Two handsewn wraps now serve as my boys’ pillowcases:-). The Christmas holidays is a “season” in the Philippines. By “season” we Filipinos mean that we start feeling and preparing for Christmas from the first day of the -ber month. September! It is of no surprise when one hears a Christmas carol on the radio on a September 1, a very symbolic welcoming of the festive season. Christmas, as with other parts of the world, brings together families near and far. It is a time of family reunions. My family has never missed a Christmas holiday. We see to it that we go home to the Philippines for Christmas. My 2 sons and I spend the first part of our vacation in Iloilo, the place of my birth. We then meet my husband on his scheduled arrival in Manila and spend the rest of the holidays with his family. This is a gift of tradition that my sons will always have fond memories to look back on. More importantly, this is a gift of family. 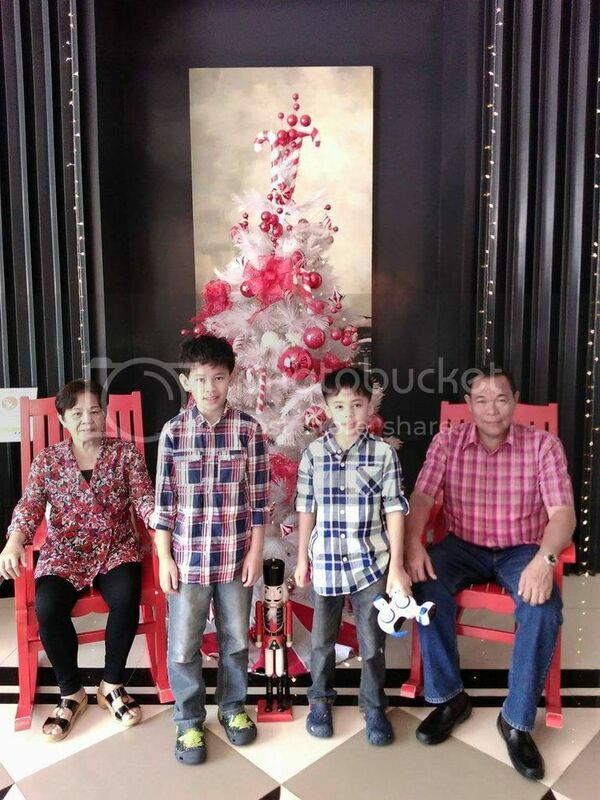 My sons know and feel that they have grandparents and relatives who love them and whom they love. We always hear “Christmas is for kids” and this is clearly manifested in all the Christmas shoppings that we do. Of course, we shop for friends, colleagues and family. But let’s bring out the obvious: most of our Christmas budget is set aside for children. We most especially see that when we become parents. 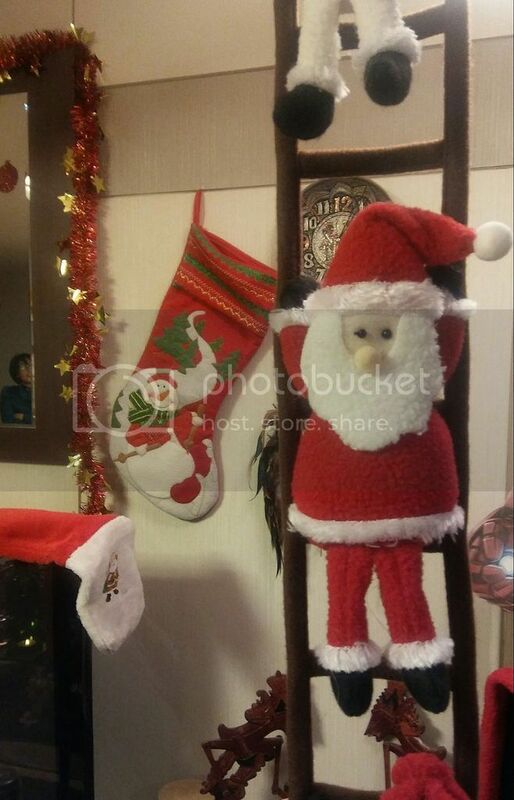 Christmas is one of the, if not most, commercialised holidays our world has ever seen. There are Christmas advertisements all over enticing everyone in the planet to buy this kind of gift and that kind of gift for this person. There are special and expensive ones and there are Christmas tokens that we can give for kris kringles and office acquaintances. This is mostly true to working people back in the Philippines where they give these small tokens to people around them. There’s Divisoria and Christmas “tianges” to buy these from. Then there are exchange gift traditions where we set a minimum amount for our gifts. This is one practice that we Filipinos have carried around the world. 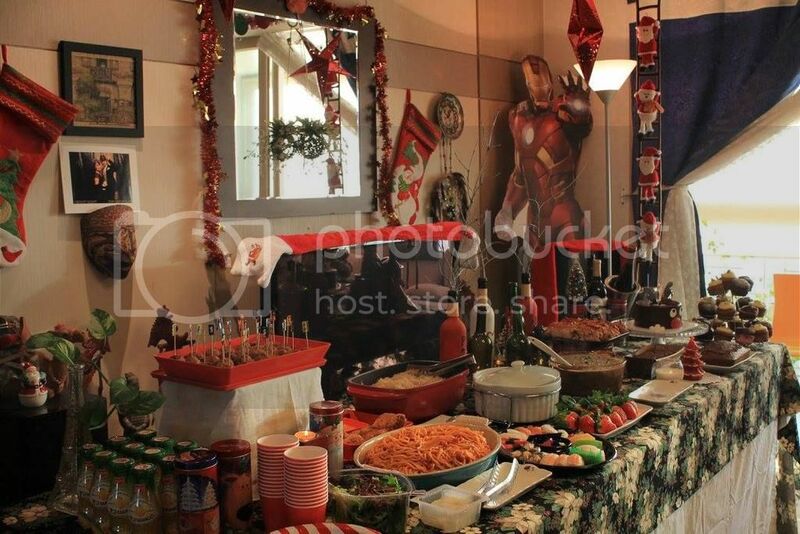 See groups of Filipinos and you’re sure that comes Christmas, Christmas parties will be held WITH exchange gifts. Then there’s the ninongs (godfather) and the ninangs (godmother). It’s a Christian tradition to have godparents during baptism. But it has also become an obligatory tradition for godparents to give Christmas gifts after until… I’m really not sure when godparents stop giving gifts. Some don’t give gifts anymore because of distance. Others stop giving gifts when the recipient is of working age already. Don’t get me wrong. This is a sweet tradition… but let’s admit it, it is also painful to one’s finances. Of course, there are people whom you dearly want to give gifts to. Because you like to. Christmas is, after all, all about giving and sharing. Despite what I call “the bane of Christmas“, I have great respect and appreciation to this part of Christmas. Except when you are already made to feel obligated or explicitly asked (“Christmas ko?” translated to “my Christmas gift?“) to give cash gifts to distant relatives who are almost-strangers. A consequence I am going to “suffer” for the rest of my life is a cold treatment from someone asking me for “Christmas gift ko?” (that’s asking for cash gift) every Christmas and never receiving any from me… unless I give a cash gift next Christmas! Plus the head-to-foot sizing-up her daughter gives me every Christmas gathering, hahahaha! Despite its commercialised value, Christmas is still that time of the year that gives us a big lesson on sharing and giving. Though the boys receive a lot of Christmas gifts, we do our best to temper this with the love and affection of the giver. As mentioned above, Christmas is a time to reconnect with family. We, Filipinos who are out of the country, make it a point to go home to be with family. Those who can’t feel this yearning the strongest during this season. 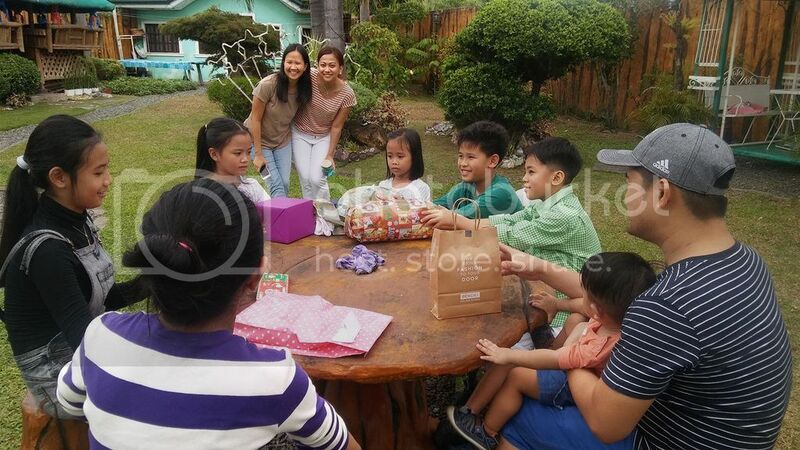 Our childhood has oriented us that Christmas is a happy time WITH our family around. Christmas is a time for Jesus. As a predominantly Catholic country, we have been taught that Christmas isn’t one without Christ. This is his birthday and this is the perfect time to remember Him. Thus, the church preparations. I used to go to Simbang Gabi or the Misa de Gallo, the most important Christmas tradition in the country. Strictly, this is a mass celebrated at dawn starting from December 16 until the 24th. For most of us, completing this practice is a challenge but for those who do, fulfilment is inexplicable. The church have answered the call of the times, though. Some parishes have adjusted to the time and made some time adjustments. The Simbang Gabi is meant to show the faithful’s devotion and his anticipation to the birth of Christ on the 25th, the Christmas Day. 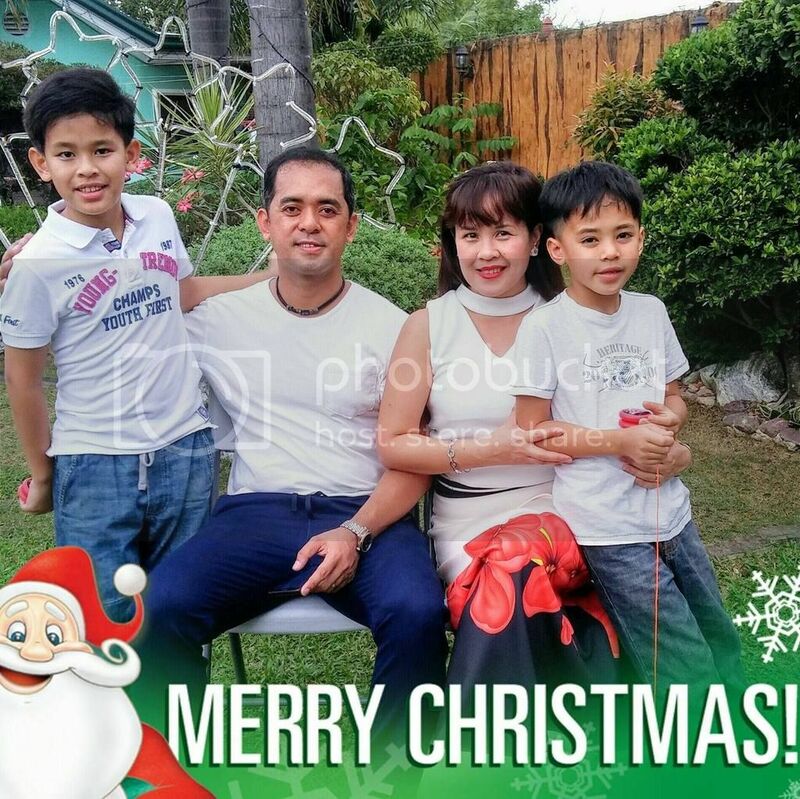 Overall, holiday stresses taken into consideration, Christmas in the Philippines remains a holiday we look forward to. It remains as one of the most important family traditions we want our children to keep on experiencing with love and good memories. These photos were taken just this holiday but they pretty sum up how we celebrate our Christmases. 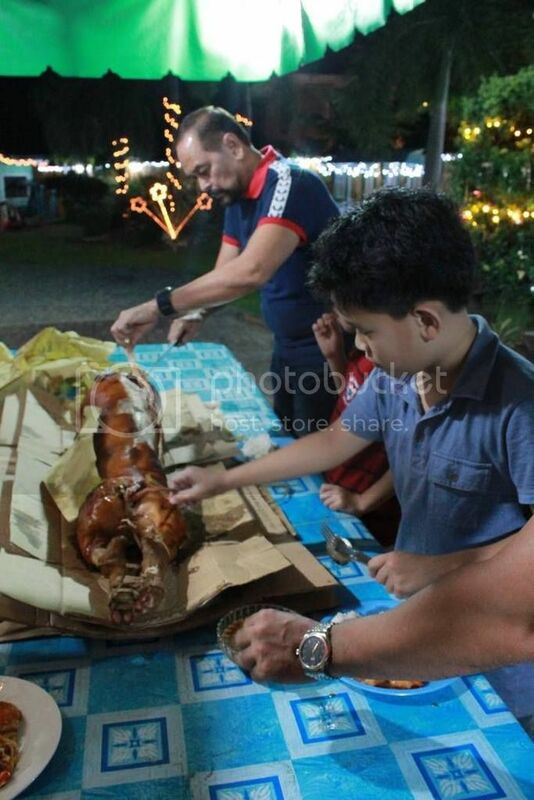 Christmas isn’t complete without… lechon! and the boys always get the first cut because it’s their favorite! What kid ever forgets his Christmas socks for Santa? The boys have each of their own Santa sock that they had been using for years now. loved reading this post and learning how christmas is celebrated in a different country to my own and your family traditions, great pictures too. Can’t believe Christmas celebrations begin in September! !